Edit: It is an M-Trax 6000R. its been a while since ive had time to be here,as ive been at school trip a lot. the scott is under progress,i got it welded just fine and sturdy. but heres a few more new bikes. Marin Muirwoods single speed ratbike for winter use,i just need to put stud tires on the rims anymore. 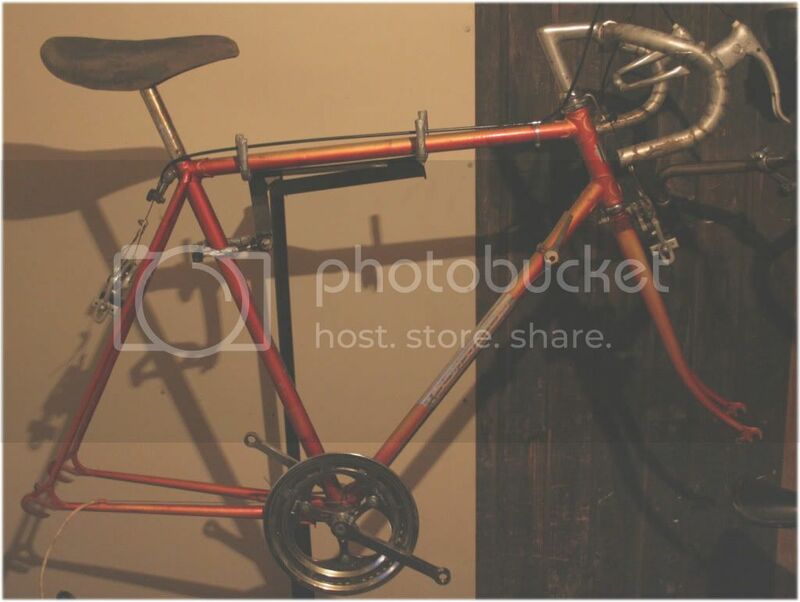 This one is older..maybe from 60`s or mid seventies.Its an old FAVORIT roadbike,all original parts,except for the wheels. 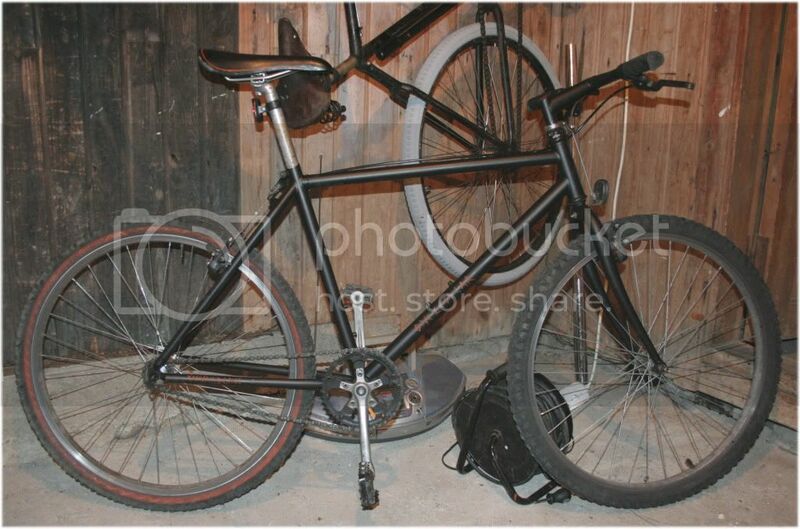 Its goin to be fixed gear i think. 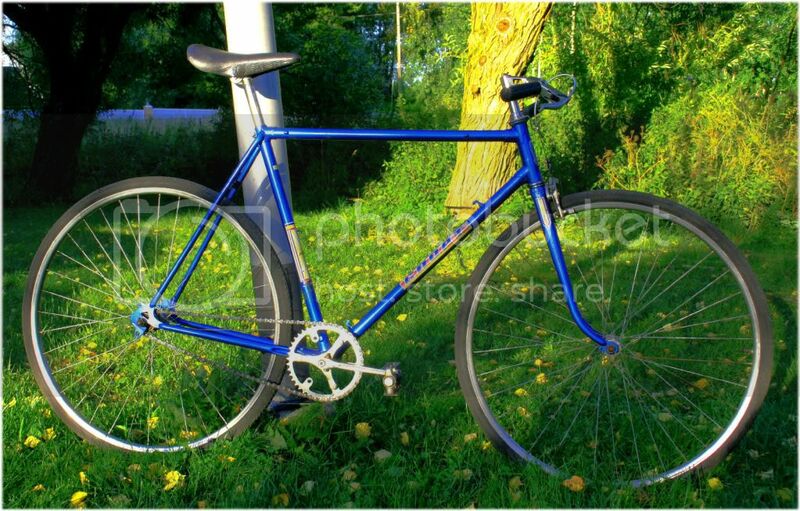 i got a link,showing off one Favorit fixed gear bike,which has same frame as mine does. to my eyes it pure awesomeness,and i was goint ythinking of trading Favorit away or selling it but seeing this pic,i dont know anymore. its too big for my wife,and too small for me but it might be perfect to hang on the wall after building it to the looks of the one in the pic. Well you've got a good eye, and great taste in old iron. Infact you remind me of me!! 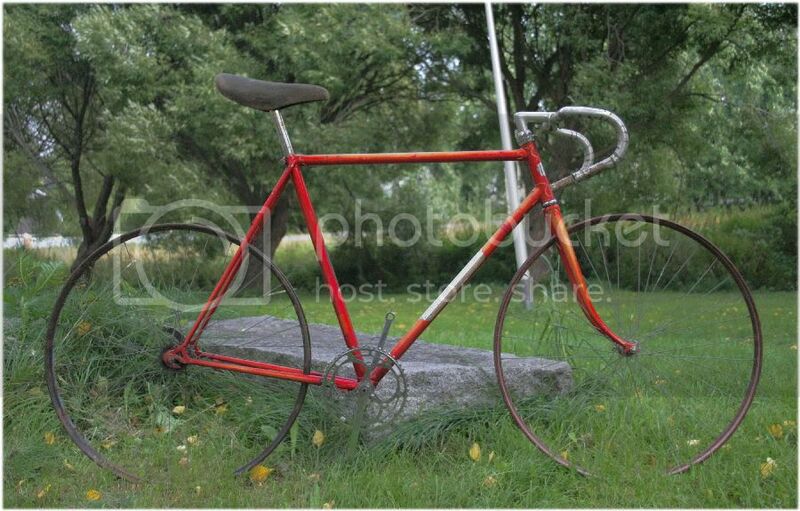 Today i stripped off some non-vital stuff off that old Favorit wreck,threw in some old granny bike wheels just to put up a crude mock-up to see stance/looks of the frame in riding position. i think it might be cool looking with some 36-40t front sprocket,single speed set up on rear,and maybe brakes on the front only,for clean looks. the paint.....i donno....i actually like that worn look,but i could also paint it,if i can find some nice older two tone paint scheme,that presents the lugs clearly.Maybe some light brown or tan and reddish brown? at this evening i traded my old backpack and few other camping items to this bike,its tunturi f22,but mine is more olive drab in colour,and has black saddle and red/black tires,its like new and only missing thing is rear brake caliber and one spoke from back wheel. YES I KNOW ITS NOT RETRO BY ANY MEANS. 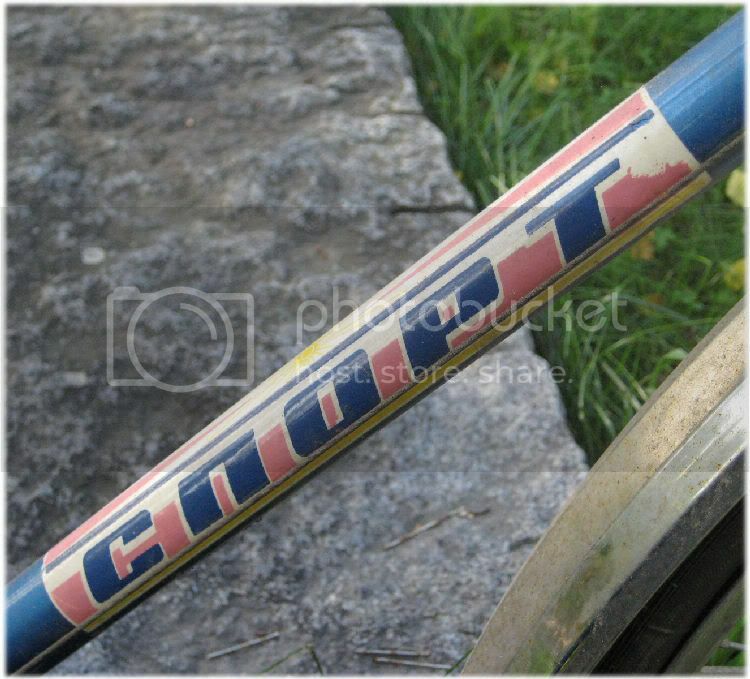 i think im just using the wheels from this one,the rest will remain on my sheds wall. at the same time i managed to take of fthe cranks of my favorit but the wedgebolt on the sprocket side breaked into two pieces...and now i need one from somewhere,damned. Today i had horrible hangover and we jsut went for a ride with our bikes,me and my gal and found this one laying abandoned next to one bikeshop.Some dude had dropped this there and said that if someone wnats it,give it away for milkmoneys,so i grabbed this one.Its older russian bike,i donno the brand as its written on the emblem on cyrillic alphabets but i bet that the modelname is just lain"sport". 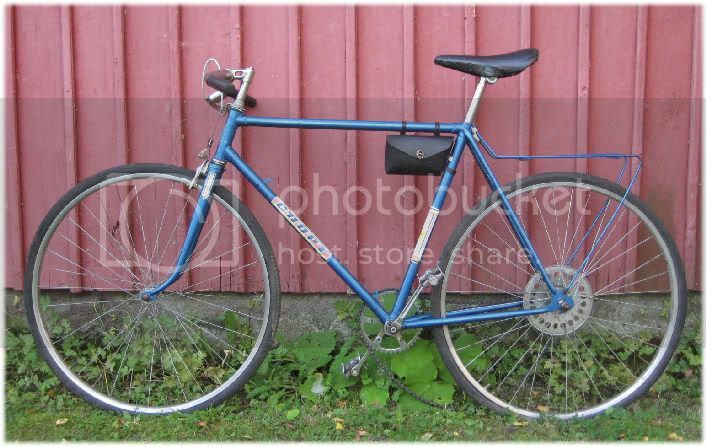 i wanted at first,just the saddle (selle royal gt),the toolbag and cranks out of this but as i washed this and had some loose time to play with bike,i took off all the unnecessary stuff,flipped the bar over,and damn,this looks good in my eyes already. 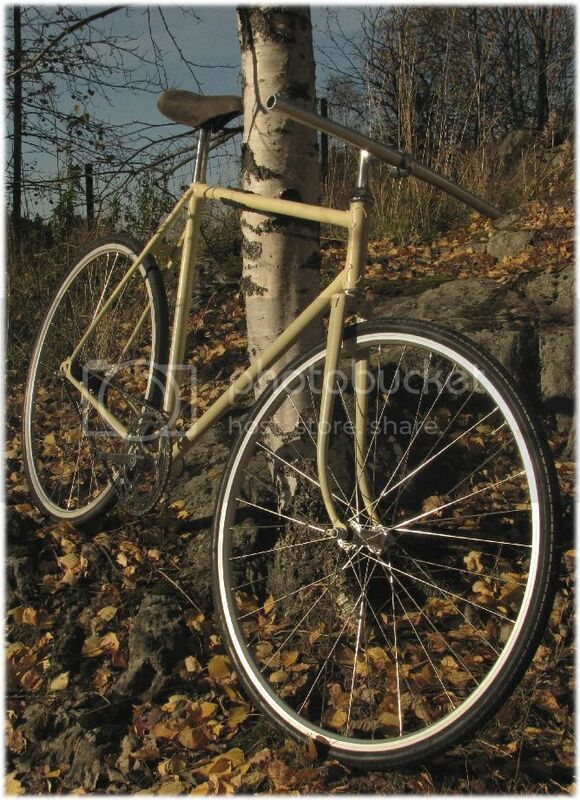 it might be cool simple fixie or single speeder i think. i like the shape,the lightness of that luggage tray so i left it there for a while. That Favorit has transformed a bit now. 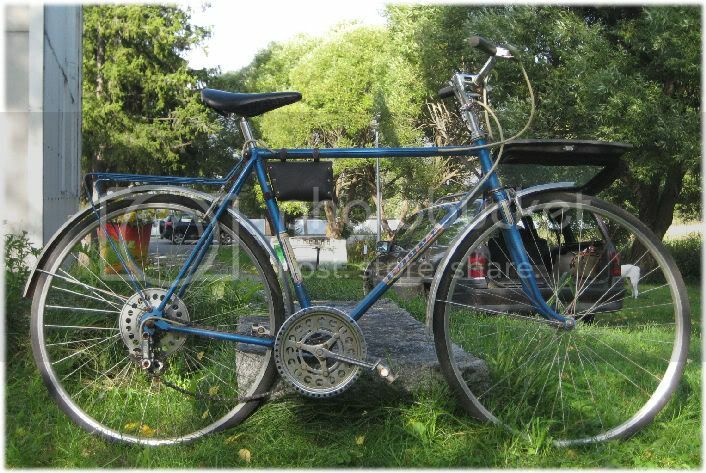 and heres that blue cccp bike in its new outlooks,riding on single speed. Last edited by Traani on Fri Oct 16, 2009 8:42 pm, edited 1 time in total.